We have dedicated this entire section to birthday party Food & Snack ideas. 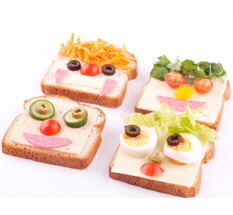 Read through the Food & Snack ideas and incorporate the best birthday party snacks into your party. Do your best to try and stay consistent with the theme. You could even give each food item a name that is synonymous with the theme. Have a super party with lots of family fun food!